Hey, pals in TV production: Katie Allison Granju has continued posting updates about her son’s death after a fatal drug overdose. The more she posts, the more I hope one of you will pick up the story and do a piece. It would make compelling television, I promise. Katie’s son was beaten terribly before he went into a coma and died, and he was given a potentially fatal dose of methadone. Since law enforcement seems to have declined to pursue the case (what with Henry being “just” an addict), Katie has been digging into what happened to her son in the last 48 hours of his life, all on her own. She’s hoping that attention drawn to the case will shame the Knox County (TN) sheriff’s and DA’s office into pursuing the leads she has in hand. She’s found witnesses and has text messages (from Henry’s phone and another phone found with him) to back up all her assertions. These people and messages establish who beat Henry (when he was found, he was in terrible shape, with a boot imprint on his chest and bleeding from both ears, probably from a fracture at the base of his skull, and he told witnesses he’d been hit with a tire iron). They establish who supplied the massive amount of methadone. They establish who kept Henry at their house and refused to call 911 for hours. But investigators have told the Granju family they had no case. 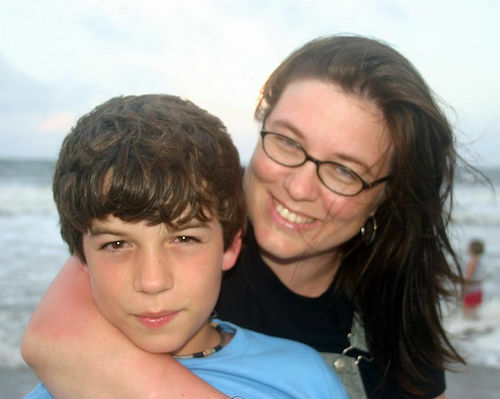 Katie, who blogs for Babble and for Mamapundit, wrote obsessively about Henry’s death online. How could she not? Writing about parenting is what she does. And like many of us, she uses a keyboard and a monitor to help process her grief. She deliberately refrained from discussing sensitive aspects of the case; she wanted to believe the sheriff’s office was doing its job. Even though she kept offering up evidence no one pursued. Even though she kept offering Henry’s phone to investigators but no one was interested in viewing the incriminating messages on it. TV pals, I am not the person to cover this story. I write for a Jewish magazine and various women’s and parenting mags; this story is neither Jewy nor suited to a monthly. Katie keeps publishing new revelations, each more horrifying than the one before — for instance, a story about the adults who harbored Henry not only selling drugs, but prostituting teenage addicts like Henry. I promise you, Katie is good at TV. 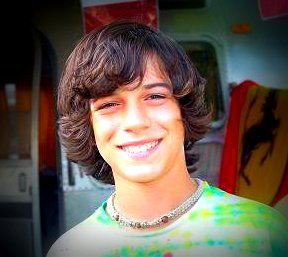 There are wonderful pictures of Henry as an adorable, much loved kid and cute hippie teen. He left behind beautiful siblings who loved him very much. The upshot: This story illustrates the fact that addiction can happen to most loved and best-parented kids, and given the law’s biases and judgments surrounding addiction, sometimes it takes a mama’s drive and determination to get justice for her child. Thinking about Henry, I couldn’t sleep last night. There but for the grace of God go any of us. I think your viewers will feel the same way. Katie’s at mamapundit (at-sign) gmail.com. Katie, I don’t know you. I haven’t followed any links here or read any of your posts on Babble. I’m just a friend of Marjorie’s. I saw her link this piece on FB. Just reading this brief piece, I wanted to tell you that my heart hurts for your loss. I can’t imagine the infinite pain you’re feeling, and I wish there were something I could do to ease your pain the slightest bit. I wish you the best of luck in your search for justice for your son – even though justice can’t bring him back to you, where he belongs. Keep this up,Katie and to all those who have been attracting attention to this case.Thank you Ms. Ingall for writing about Henry. There will be info VERY SOON that proves this is a massive cover-up about this case, including LYING by the authorities,this may turn out to be the veritable WATERGATE for the DA’s and KCSO office. Somebodies going DOWN in this matter, heads will roll to the HIGHEST LEVELS.